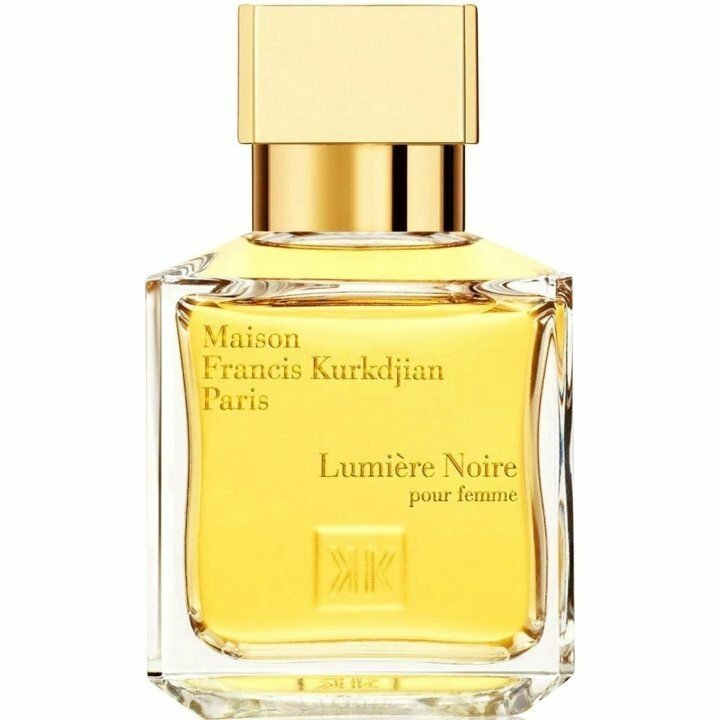 Lumière Noire pour femme is a popular perfume by Maison Francis Kurkdjian for women and was released in 2009. The scent is floral-spicy. It is still in production. Lumière Noire is all about Light and its Effects: a necessity for existence, yet it will create shadows in every shade of grey. Very bright, it shines on the first buds in spring, full of promise for a lush and lusty life. Without a doubt this is a wonderful yet very twisted blessing from the sky. Life with LN is good, pure and dirty. Heartbreaking. L'heure Bleue and Mitsouko always strike a melancholic note for me. Some scents thrill, some send shivers down my spine (yes I'm quite an emo person I suppose, or psychology would term me highly sensitive)but the first word that came to mind when I tried this on was heartbreaking. Why that word? I suppose it brought up emotions that would come from a wild crazy love that one instinctively knows cannot burn forever, the bittersweet ache that one has inside waiting for the inevitable end. For whatever reason, this scent made me feel that way. Anyway my search for the ultimate patchouli came to an end as well. I never thought this would be a contender, having tried from Angel to Noir Patchouli and beyond. However that's the first note that strikes me strongly and in a non medicinal way. The patchouli here is the chocolate aspect of patchouli, like in Coromandel but without being gourmand, which makes it the winner over Coromandel for me. Then a graceful non imposing, non stuffy nor musty rose dances in to join the patchouli. The rose here smells like in Brulere Rose. The spices here are so well-tempered, nothing acrid to the nose, nothing medicinal. Just an absolutely stunning beauty in a bottle that literally stunned me into silence. I suppose I didn't expect to fall in love, there are enough rose-patchouli combinations out there already. However, THIS one is different. Different from JHAG which for me it surpasses in terms of JHAG being more youthful and LNPF being more grown up but not boring. This is not as dark as A Portrait of A Lady, but the patchouli here is more chocolate than earthy. I love Kurkdjian's work and I've never been disappointed. This goes on the much loved list, I've been sleeping in it and working in it for the past few days. I apologise for a dreamy and long review, I hope it makes sense or at least compels people to try this at least. Longevity and sillage are unquestionable. I got more than 12 hours on clothes and people around me said my scent remained a good hour after I left the room. LUMIERE NOIRE POUR FEMME is my first foray into the house of Francis Kurkdjian, and it is a felicitous one! This perfume is one example of what may be my current favorite genre: floral chypre, of which LA PERLA and La Prairie LIFE THREADS PLATINUM are two other scrumptious examples. The patchouli is less prominent in this composition than in most other representatives of this genre. In LUMIERE NOIRE, the new twist on the rose-patchouli floral chypre is the addition of narcissus, a flower also beloved to me, and the result is magnificent. Like other reviewers, I do not find this perfume dirty, nor do I find it very spicy. To my nose, LUMIERE NOIRE is a beautiful modern chypre with enough depth and darkness to add a touch of mystery. Think LA PERLA meets NARCISSE NOIR, and you'll get something of the idea.